I want to make sure other small business owners, freelancers and the self-employed have all the information they need, and available to them in an accessible place. I'm sure I'm not the only one a little bit tired of having to trawl through the HMRC website. Tax, Tax Credit Rates and Personal Allowances - The HMRC lists all of the current rates of income tax and their associated personal allowances. The personal allowance is the amount of income an individual can receive each tax year that is free of taxation - any income above this allowance is taxed according to the relevant rates. Tax Credits Calculator - A lot of people find the tax credits system confusing, and for those who aren't trained accountants - it is! Luckily, HMRC have a calculator you can use to find out if you are eligible for any tax credits in the current tax year. Registration for Self-Assessment - If you self-employed, either as a freelancer or sole trader, then you need to let HMRC know - you can use this link. Self-assessment means you can inform HMRC of your income tax liability (or lack thereof!) and can also enable you to make compulsory or voluntary NI contributions - very important in terms of state pension eligibility and maternity allowance. Make sure you have your National Insurance number to hand, as well as basic personal information. Once registration is accepted, you will get a Gateway ID and UTR (Unique Taxpayer Reference) number. Keep both of these VERY safe as you will need them to complete your self-assessment. For more information on the Self-Assessment process, I have produced a guide, here. ***Important note - In April 2019 these responsibilities will change to include quarterly updates to HMRC instead of the Self Assessment Tax Return. You will also have to keep digital records of your bookkeeping. There are a number of software providers for this and I can provide my clients with free software, training and support. Self-Employed National Insurance - So many freelancers and sole traders don't factor this in. But you need to consider making provisions for Class 2 or 4 NI contributions in combination with income tax. And if you are under the income threshold for NI, you may want to consider voluntary contributions to safeguard your state pension and/or any benefits. Holiday Entitlement - If you are newly responsible for employees, this Guide to holiday entitlement and related links is really handy. In particular, this calculator has proven indispensable for me on many occasions when working out holiday entitlement for part-time and/or shift work employees of small businesses. Statutory Sick Pay - A short guide and links for statutory sick pay entitlement and provision for employers. A lot of people want to stay hands on with their finances - or they just don't have the free income to spend on a full bookkeeping service just yet. So I thought I'd make this spreadsheet available to small businesses. Its nothing fancy - just keeps track of income and expenditure, and provides a yearly summary showing profit or loss. 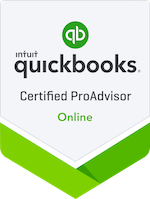 This is perfect for the small business owner or freelancer who has the time to spend on their own bookkeeping, is just starting out, has relatively few transactions to keep track of, and/or wants to save on professional bookkeeping fees by just having someone check over the accounts they've kept themselves. To download, just click the button to the right and enter your details - and you'll receive your free spreadsheet straight to your email!